Helen Douglas graduated from the London School of Economics with a degree in economic history. After a stint as a subeditor in London, she moved to California, where she worked as a theatre director, then as an English teacher. She now lives in Cornwall with her husband and children. 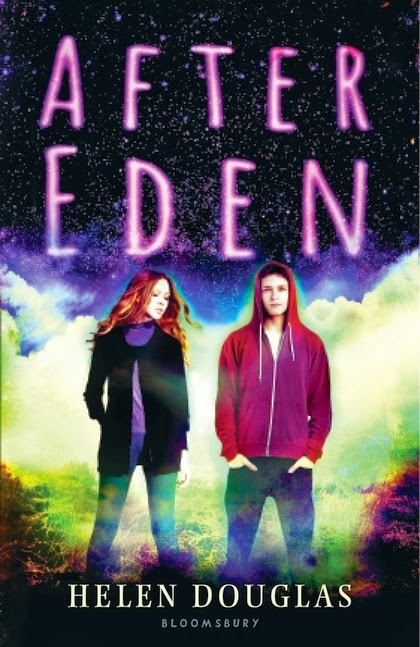 Her new novel is After Eden. I like to read a mixture of fiction and non-fiction, and as a writer of young adult books, I usually have a YA read on the go as well. I have just finished reading an ARC of a soon-to-be-published YA medical thriller called Control by debut author Lydia Kang. Control tells the story of a group of teens who have to hide from the authorities because they are genetic ‘mistakes’. There’s a character with four arms, another with two heads and yet another with the power to heal himself from injury. The main character, Zel, ends up in a safe house with these misfits, but her younger sister is captured by a sinister group who want to exploit her difference for their own gain. While this book is a page-turner with lots of action and suspense, it is at heart about growing up different – and explores the fact that one person’s deficiency is another person’s ability. I loved it. I have just started reading The Goldfinch by Donna Tartt. Tartt’s debut novel, The Secret History, is one of my all-time favourites, so I have been anticipating this one for a while. The Goldfinch tells the story of Theo, a thirteen year old boy who miraculously survives the accident that kills his mother. The one link that Theo has to his mother is a small painting, The Goldfinch. This painting draws the adult Theo into the underground of the world of art. It’s a long book – 800 or so pages – and I am less than a quarter of the way through it at this time. So far I’m really enjoying it: she manages to combine brilliant prose that has just the right telling detail to make a scene come alive, with a page-turner of a plot. I am just about to start a non-fiction book called The Astronaut’s Guide to Life by Chris Hadfield. I happened to hear about five minutes of it when it was featured on BBC Radio 4s Book of the Week programme. That snippet was enough to intrigue me: I love anything to do with space and/or exploration. A few days later I came across the book in my local bookstore and I read the opening page. I was hooked right away.